We love these 1950s laminate and chrome kitchen sets but this one is especially cool with its atomic boomerang pattern. 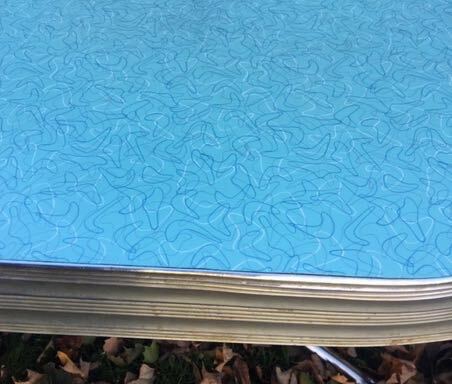 This set has a leaf so the table can be expanded. Very good condition with one small tear in the vinyl of one chair. 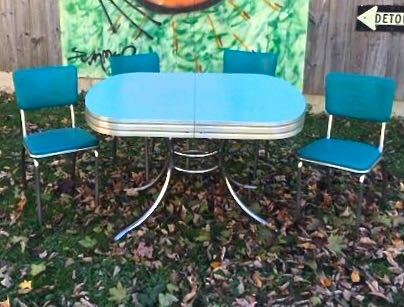 This set is currently in our storage barn so give us a heads up via text or email if you would like to stop by and see it.